Note that the location of the routes is approximate and has been transcribed from a paper document that had limited landmarks. A proper system of transportation involves a correct balance between the different methods of travel which in Cambridge are walking, cycling, motor cycling and traveling by car, bus and train. A considerable road building programme was proposed despite the fact that 78% of journeys were within the city according to the 1956 traffic survey. With the city being not more than 3 miles from the centre to the edges much of this intra-city travel could have been, and can be, by cycle. 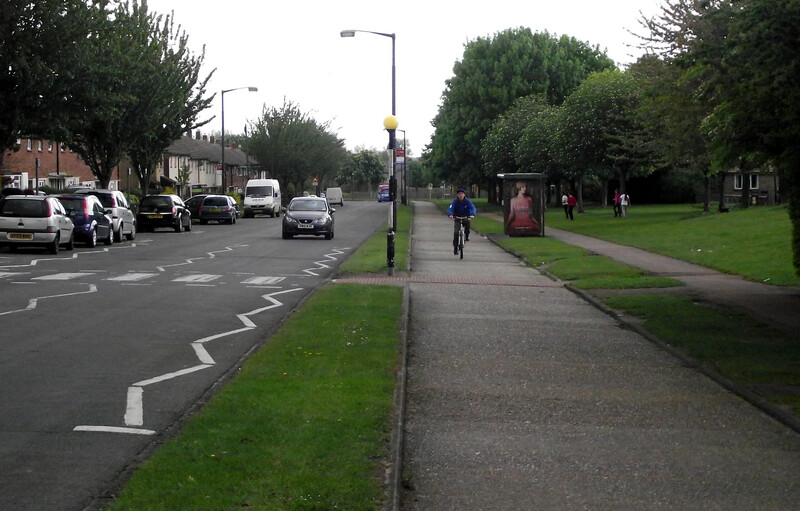 The report mentions the network of cycleways in Stevenage where a 1964/5 traffic survey found that cycles were 20–33% of the number of motor vehicles on adjoining carriageways and 25–40% of secondary school children used cycles. 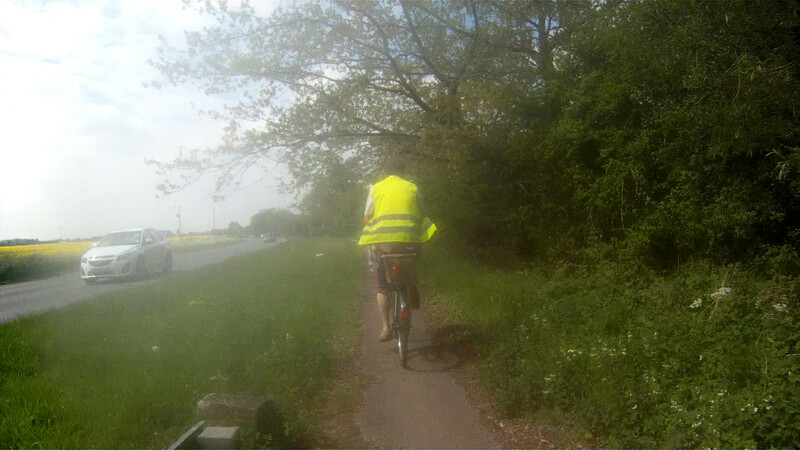 However today Stevenage’s cycling levels are only about the same as the national average (less than three percent of journeys). The cycleways would normally be physically separated from motor roads with underpasses where necessary. The only exceptions would be when passing lightly trafficked residential roads. While the road network proposals considered where the traffic currently flowed and likely destinations there’s no evidence of this happening for the cycle routes apart from marking the location of secondary schools. There seem some odd omissions from the network such as the southern portion of Hills Road and the entire east of the city. …a cost benefit analysis [be] prepared before its construction became a practical possibility, it seems likely that many if not most of the routes shown will eventually prove justified. 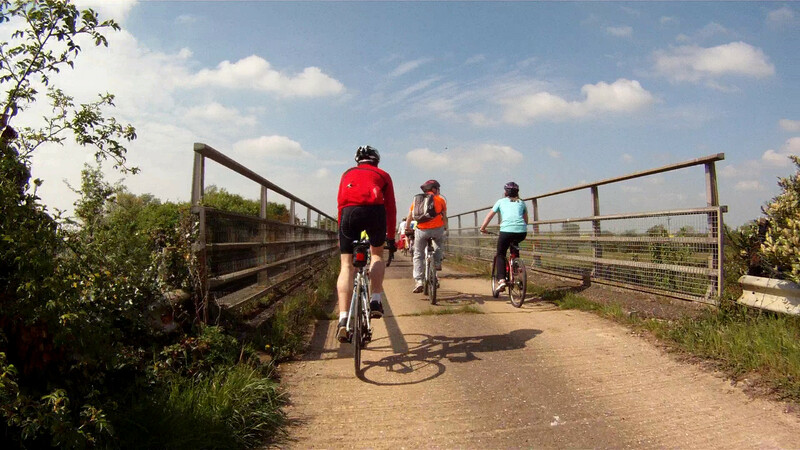 Whilst some of the road network was built none of the cycle network was.